Record your very own message that plays back when motion is detected! 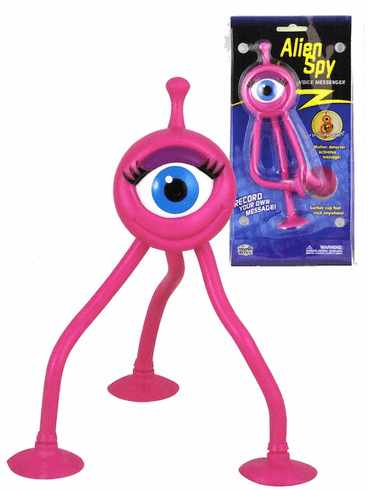 Our Alien Spy Voice Messenger is a blast, with three bendable legs and suction cup feet. Kids can use it anywhere! Records message up to 10 seconds long. Motion detector activates message. Customized message alerts to approaching intruders. Use anywhere. Batteries included. Peggable.